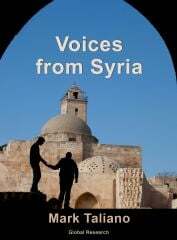 Last week the Syrian Army (SAA) backed by allied forces broke years-long ISIS siege of Deir Ezzor. Residents of the city were sincerely greeting liberators of the city. According to many experts, the SAA’s success is an important step towards total elimination of ISIS. This, of course, can be considered as a defeat of the West and its ‘partners’, who had worked with the Syrian armed opposition and radical groups including ISIS hoping to oust Assad. The real prospect of the SAA would retake control over the oil-rich territories has made the U.S.-led Coalition launch a new military operation in Deir Ezzor. Apparently, the White House makes every effort to prevent the SAA from liberating the city from terrorists. The U.S.-backed Syrian Democratic Forces (SDF) announced on Saturday the launching Jazeera storm campaign in Syria’s Deir Ezzor, which was aimed at capturing areas in northern and eastern countryside and advancing towards the Euphrates River. The U.S. intention to prevent the SAA is confirmed by Major General Rupert Jones, Deputy Commander-in-Chief of the US-led Coalition. Sunday, Jones threatened to strike any units of the SAA if it crossed the Euphrates River. At the same time, the U.S. takes another step to prevent Assad to establish control over the country. September 22, 2017, the Kurdish-led administration in northern Syria will hold elections for local councils and a regional assembly. In January, 2018, Kurds will hold the elections for the region as a whole. This, undoubtedly, won’t be coordinated with the Syrian government. Obviously, such kinds of promises were made only by the United States. That’s why the SDF forces fight so selflessly and to give their full support to the U.S. ideas. Besides, the SAA is planning to cross the Euphrates River in Deir Ezzor Governorate after liberating several areas along the western bank of the river and liberate more oil-rich territory. 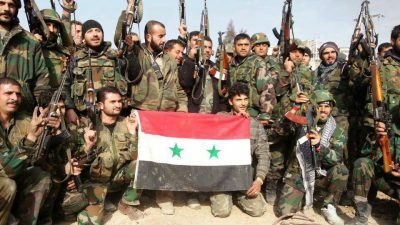 It is obvious that for the SAA Deir Ezzor will become the decisive battlefield not only against ISIS terrorists, but also against the hypocritical ambitions of the West, led by the United States. Anna Jaunger is a freelance journalist at Inside Syria Media Center where this article was originally published. Featured image is from Al-Masdar News.